The successful candidate will be an acknowledged international leader in the field of Financial Accounting with an exemplary scholarly record of accomplishment. The applicant will have: a demonstrated record of sustained contributions to top-tier peer-reviewed academic publications; internationally recognized accolades or awards; and strong endorsements by referees of high international standing. It is expected that the incumbent will enhance and contribute to the mentorship of an already successful Financial Accounting research group at Smith School of Business. The objective of the Chair is to expand and enhance the international reputation of the School’s Accounting area. Salary will me commesurate with qualifications and experience. Appointees have access to substancial internal funds both for research and course development througj Queen's School of Busines Research Program and the Faculty Development Fund. Queen's University has a long and rich tradition of academic excellence, dating back to a Royal Charter granted by Queen Victoria in 1841. 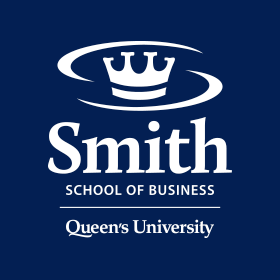 Smith School of Business is one of the world's premier business schools, with an outstanding reputation for innovation and quality. Our MSc and PhD programs in Management attract highly qualified research-oriented students in many fields of study. Our undergraduate Commerce program has among the highest entrance standards in Canada and is widely viewed as the country's best undergraduate business program. Queen’s has gained international recognition for its MBA and executive education programs and is fully accredited by AACSB and EQUIS. Smith School of Business is also home to centres focused on analytics, business venturing, social impact and corporate governance. The learning environment at Queen’s is supported by outstanding library and computing facilities. More information can be found at: smith.queensu.ca. The accounting area consists of dedicated scholars who consistently publish in top journals and seek to influence public policy in Canada and internationally. For more information about our faculty see https://smith.queensu.ca/faculty_and_research/index.php.